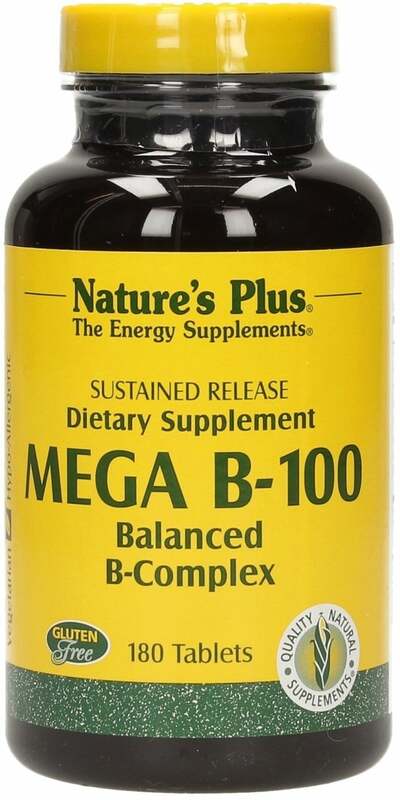 Mega B-100 by Nature's Plus is regularly tested and monitored by independent laboratories - like all products by this top global provider. Folic acid (B9) and biotin (old name: Vitamin H). In the United States, PABA (para-aminobenzoic acid), choline and inositol are also considered B vitamins. All vitamins in this group are soluble in water. Vegetarian, hypoallergenic, free from yeast, wheat, corn, soy and milk. Based on rice bran, alfalfa, watercress and parsley.